New for players worldwide is Roaring 21 Casino! This casino operates with a less is more attitude, which is something that I prefer personally. I like my gaming to be fun and exciting without a whole lot of technical necessities in order to get started. Roaring 21 Casino is available to players in many countries who are 18 years of age and older. 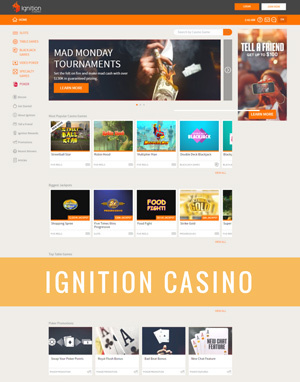 When I landed on this casino’s website, I noticed that it had very little text, but I felt like it gave me what I needed to know in order to get started. The layout was clean, simple and functional which made me feel like this would be a good option for me. Upon further inspection, I decided to create an account to see what this casino has to offer, here is how my experience went at Roaring 21! The signup process was really simple, all I needed to provide was my name (first and last) email address, date of birth, password and then confirm that password. I liked the signup sheet because that’s all I needed to fill out in order to make a deposit. I didn’t need to fax in my information and it was simple enough to where I didn’t need to enlist the help of a casino agent (although they are available by way of chat 24/7.) Once I was all signed up, I decided to head over to the promotions tab to see what was available there. Roaring 21 is powered by Real Time Gaming, a leader in the online casino industry that allows players to have a realistic gaming experience, all from home. Players at this casino have the opportunity to dive into a fun gaming library that offers Popular Games, Progressives, Slots, Specialty Games, Table Games and Video Poker as well. Each of the games here is exciting and offers realistic sounds and graphics. I really like the game called FuChi, I think it offers an obscene number of free spins when they’re struck which offers an even better outcome for big winnings! I also like the Blackjack that is available here, I think it takes on the classic approach to the game! At Roaring 21, players can either download the software to their computer or they can play right through the browser window. A mobile platform is also available, I call it the “lite” version as it doesn’t quite offer all of the games that are available. There are several different promotional offers at Roaring 21! The first is a welcome offer just for new players. This offer is a package of three codes which allows players to redeem a 100% deposit match plus 21 free spins, the second is a 120% deposit match for up to $1,200 and the third is a 210% deposit match for up to $2,100 in free cash. In total, the welcome packages here offer up ot $4,300 in free cash with 21 free spins (which could lead to a big win!) In addition to the welcome bonus, there are Roaring Rewards, Capones Cashback, 247 Live Lounge, Speakeasy Slots and Bugsys Table Club! There are several ways to make deposits at Roaring 21 Casino. Players can utilize options like; Visa, MasterCard, Bitcoin, EcoPayz, Neteller and Skrill. Each of these deposit methods are free to use and are either instant or can take up to 10 minutes to process the payment. For the most part, the minimum deposit amount is $35 with the exception of Bitcoin which is $30. Players can make a maximum deposit of $1,000 for the high rollers. On the other side of things, players can use withdrawal methods such as; Visa, Check, Bank Wire, Bitcoin, EcoPayz, Neteller and Skrill to process their winnings. I made a deposit using Bitcoin and although I didn’t end up cashing out, I think their withdrawal time-frames are reasonable, but for those who are using a Check or Bank Wire to withdraw, there is a $25 free unlike the other options that are available. Overall, I think this casino is a great option for players because it offers support around the clock, it’s easy to get started with and the bonuses are lucrative. If you’ve played Real Time Gaming software before, the same great games are available here, with a casino that has a great reputation despite being new for players.